Its documentation is spotty, so don't expect any hand-holding. When you first start Shotcut, you might be surprised at what you don't see—very little of its interface is exposed in the beginning. But click on the buttons in the top bar, and you’ll find numerous views and UI elements that prove to be much more robust than you’d guess at first glance. They’re resizable and undockable, making this one of the most heavily customizable free video editing programs out there. Most tasks are simple and effective if you know where to find them. Trimming videos is very easy. Exporting is also efficient; this program isn’t beautiful, but there is little fault in its functionality. We do wish there were more and better transitions and effects, though. Shotcut supports an impressive range of video formats, but it doesn’t provide you much guidance on targeting social platforms or specific devices. Our biggest criticism of Shotcut is its lack of robust support documentation and tutorials. 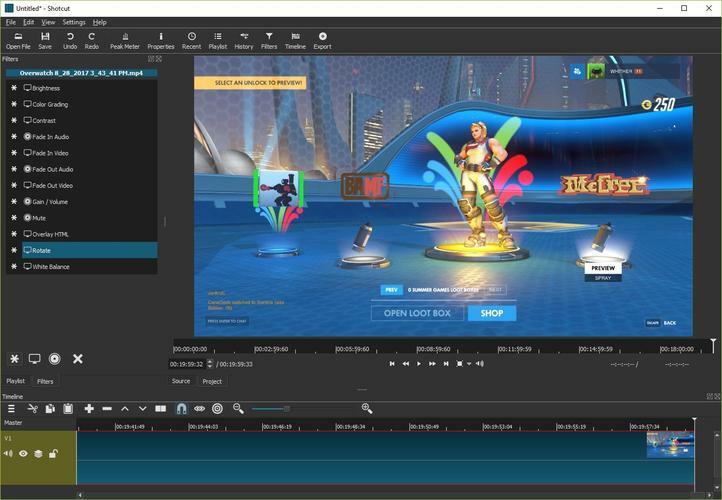 Its community of users have put up a few YouTube videos, but other video editing software offers professionally crafted tutorials and help for new users. With Shotcut, you’re mostly left to figure things out for yourself. Additionally, while it supports a huge range of video formats, it doesn’t integrate directly with social video platforms like YouTube, Facebook, or Vimeo. Except for YouTube, it provides no guidance on which formats to use for best results on those platforms, or on various mobile devices. Once again, you’re left to suss out the best course of action on your own. That said, Shotcut offers one thing few other free programs do: a big library of both audio and video filters that are as powerful as they are easy to figure out. You can add many filters to one file, and this means you can effectively tweak every detail about how the image or sound is presented. Professional tools offer all of this, but this combination of power and ease of use is unusual in free software. There are simpler video editors out there, and there are editors that offer a lot more in terms of editing and exporting for social video platforms. 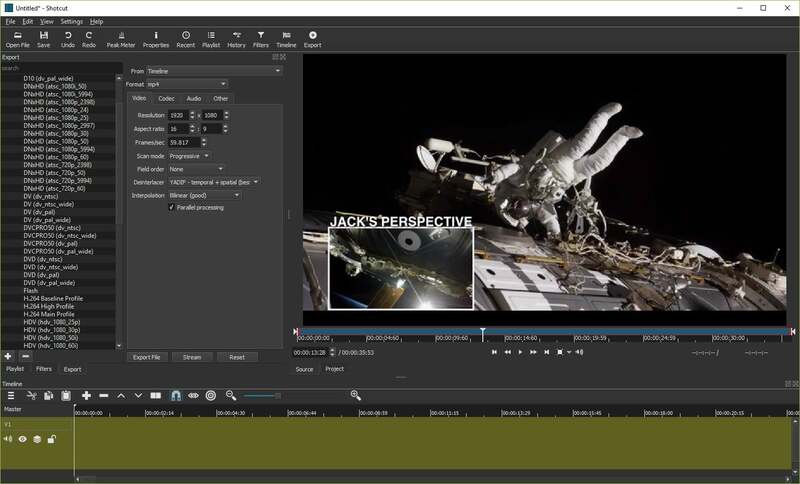 But for classic video editing tasks, there are few free software packages that offer as much as Shotcut, as long as you know what you’re doing.